creative company and intervention artist carmichael collective (by carmichael lynch) of minneapolis, minnesota, USA has created ‘urban plant tags’. the series of magnified nursery style plant tags are outfitted with descriptions of the required care systems for the necessary sidewalk fixtures planted in the ground. 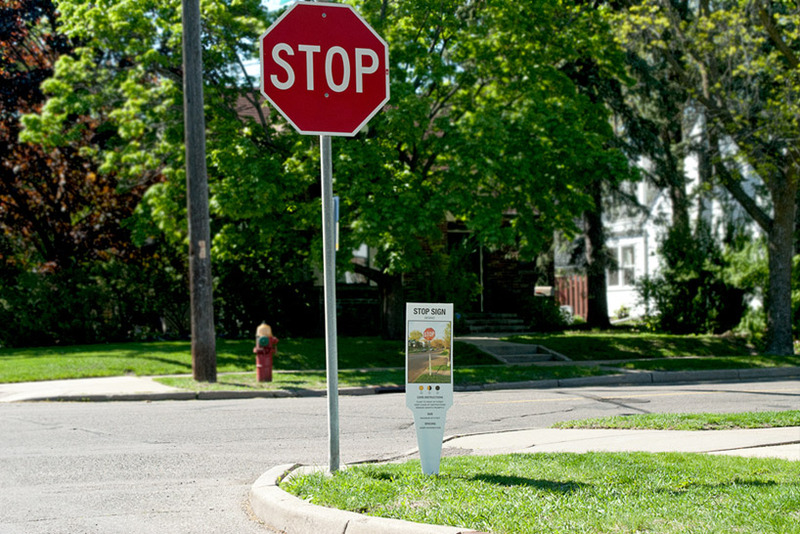 in the artist’s project, common tools provided to the public by local and federal governments such as lamp posts, benches, mailboxes, or cautionary signs for drivers have been given markers indicating how to keep each object alive.